In modern world, menopause is considered as a negative period in woman’s life. Although, some women erroneously think that menopause is sickness which should be treated. It is no wonder that many healthy women are too shy to talk about menopause and prefer to keep silence in regards to their condition. Menopause symptoms in various women may be worlds apart. Some of them may not have any discomfort during this period. In average, women start noticing alterations in their organism at the age of 45 and older. Blushing, sweating, menstrual disorders, insomnia, mood swings, weight gain are the main and most widely-spread symptoms during menopause. Canadian Health&Care Mall canadianhealthmall.com will disclose the most perplexing and overwhelming facts about menopause. Let’s get straight to it! As a rule, the symptoms accompanying menopause include lack of energy, cardio-vascular alterations (arrhythmia, blood pressure fluctuations), loop of thermal control and skin laxity. Nevertheless, premature (up to 40 years of age) and early (40-45 years of age) menopause causes aggravation of the situation. Many research studies have shown that average aged women with premature menopause development are in the risk group of cardio-vascular diseases and osteoporosis occurrence. The earlier menopause occurs, the higher risk for negative consequences is. But it is still debatable whether this risk extends to women who had this state developed due to surgery, such as for instance, female gonadectomy. One of the research studies examining around 12140 women after menopause has shown that every additional year with functioning ovary decreases risk of early death by two per cent. In particular, the possibility of atherosclerotic cardiovascular disease development decreases. Anyway, late menopause occurrence bears the risks, such as higher risk of breast cancer and endometrial cancer development. Medical experts recommend women with premature menopause to take estrogen in order to minimize negative consequences of such condition. To minimize adverse impacts of hormones level on organism, hormonal replacement therapy is applied. HRT is the only therapy of climacteric disorders with proven efficiency. Nevertheless, this therapy has its disadvantages which are still under discussion in medical world. For example, it was proven that women taking estrogen and progestin suffer from breast cancer more often in comparison with those who take only estrogen. But in the latter case, risk of endometrial cancer development increases. This information is supported by another research study which has shown that hormones sometimes do women more harm than good. Scholars note that hormone replacement therapy may disguise symptoms of breast cancer due to which the tumor is detected at the late stage. Among other problems occurring with higher probability with hormones intake, scientists name the risk of cardio-vascular diseases and clots occurrence. At the same time, risk of osteoporosis, rectal carcinoma decreases. Menopause is time when menstrual period in woman terminates. It may be natural (which is occurred resulting from gradual ovarian failure) and artificial (caused by adenectomy, radiation or medicinal impact). Natural menopause causing incapacity to conceive in long-living mammals is characteristic to humans and … dolphins. Scientists were not able to arrive at uniform conception of occurrence of this physiological phenomenon; therefore, there are several hypotheses. One of them is called “Grandmother hypothesis”. According to it, periods termination at a mature age was required in order to enable older female species to take care after limited number of their successors and avoid competition of young offspring for food with multiple grandchildren. Such behavior is important when females leave their group in order to find another male elsewhere. In this case, a female has a big motivation for preservation of her offspring: her gens are represented in this group only in children, grandchildren. Anyway, orcas and grind whales have the situation the other way around: after fertilization, male and female species go to their groups. The explanation of their macrobiosis after menopause in this case is not found. Considering the fact that hormonal replacement therapy is not so safe as it seems, many people resort to home remedies. It is well-known that a number of plants have phytoestrogens (estrogens-like nature-occurring compounds) in their composition. Therefore, cereals, soy and even carrot are often used by adherents of healthy living for struggle against menopause signs. 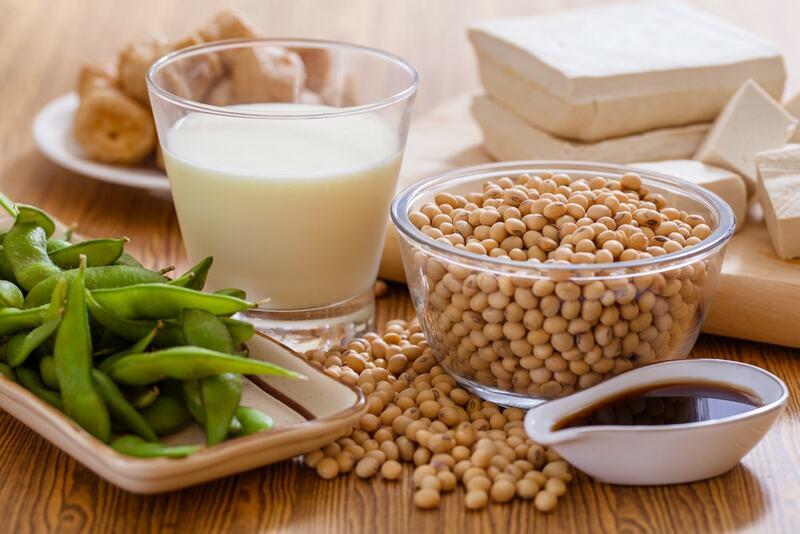 Unfortunately, study of this issue has shown that undoubtedly useful products are not able to replace hormonal replacement therapy: women taking a lot of soy not only neglect adverse influence of menopause on organism, but also come across troubles. Women are to revise their opinion towards alimentary products consumption for the purpose of balancing hormonal profile. During the research study comprising 248 women at the age of 45-60 years, scientists haven’t observed clinical confirmation of healthy influence of phytoestrogens on organism. Moreover, it was proven that patients taking soy suffer from constipation, gases and blushing more frequently. The fact that phytoestrogens are not helpful against night sweating and blushing were also confirmed during other scientific research studies. Women considering menopause to be a disaster and youth loss get psycho-somatic issues in addition to really existing problems with health. Women who have passed cognitive behavioral therapy studied how to cope with blushing or night sweating and normalized sleep. Another proof of beneficial influence of mood on overall state is the fact that Japanese women suffer from climacteric issues with health much less than their European and American age-mates. Experts explain that this state of things is explained by relation of Japanese women to their body alterations. The thing is that periods termination in this country is not equal to fading of life. To the contrary, Japanese women call menopause “noble disease” characteristic for rich and respectable women. According to them, it results in regeneration. Perception of natural process in a positive way leads to weakening of symptomatology. A group of scientists from Sandford University developed stimulation technology of nonfunctioning ovaries. Each ovarium has a certain number of undeveloped follicles containing ovum. In case of initial ovarian insufficiency (in essence, premature menopause) follicles maturation ceases which becomes a cause of female infertility. New technology lies in the fact that ovarium is extracted, divided into several parts, processed with substances stimulating follicles growth; then these fragments are placed in female Fallopian tubes. Then hormonal therapy follows which results in formation of ovum which is extracted, fertilized; and a woman undergoes extracorporal fertilization procedure. Thus, there is a possibility to give birth to a baby. Nowadays, technology is perfected and passes additional clinical trials. Anyway, menopause doesn’t mean that a woman can impregnate on her own. During the transition period, this is quite possible. Sometimes periods terminate, but ovarium continues producing ovocytes. In order to avoid undesired pregnancy, women are recommended using contraception means within a year after the last menstruation. In case menopause occurred under 50 years of age, contraceptives are to be taken within two subsequent years.